Geek-letes, (brain) power-lifters and those of exceptional mental strength! 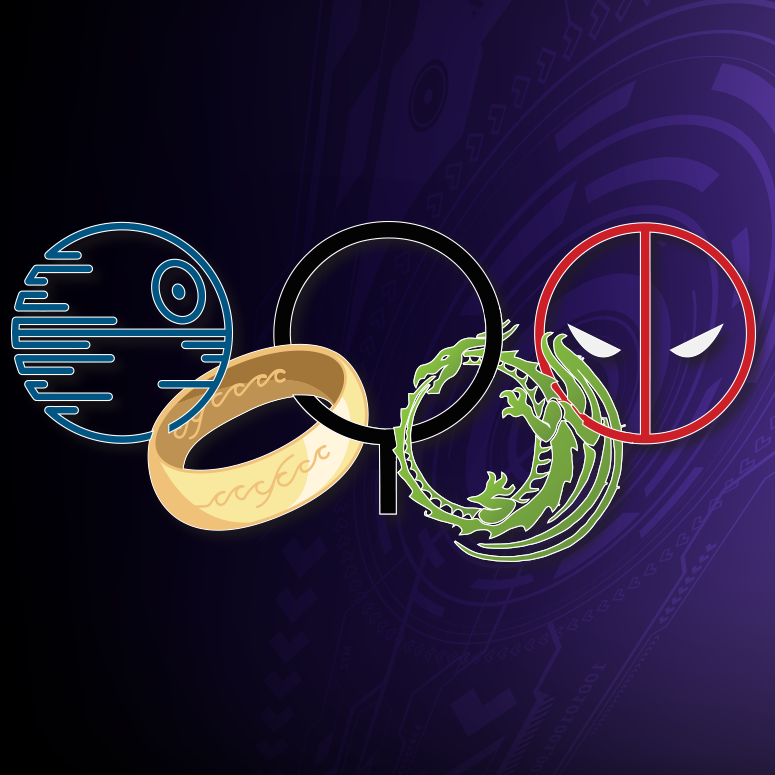 We present the first annual GEEK-LYMPICS! GO FOR GOLD IN THIS PRESTIGIOUS BATTLE OF THE BRAINS! Contenders must choose their team of up to 4 Geek-letes based on mental strength, physical ability, problem solving skills and creative prowess. email angie@nulldarkcarnival.co.za for your entry form once you’ve bought your tickets! Each Tournament has a point value attached. Teams must complete as many of the tournaments as possible in the allocated time given. • Shoot an Arrow with The Troll Bow Project – Choose a champion to hit a bullseye. • Geek Quiz – Flex your team’s brain muscles and achieve the highest score. • Quick Cosplay – Show us your team’s creative side, design and make a costume under pressure. • Solve the Puzzle with Hashtag Escape – Can your team escape the perilous puzzle room? • Can you solve the Game of Kings? Choose a Champion with strength and accuracy to conquer this Viking game. Teams with the highest point value at the end of the day will progress to the sudden death rounds on Sunday. • Gaming Sudden Death – Champions meet champions in this sudden death knock out round on gaming consoles. • Giant Chess – Has your champion got the skill and mental calmness to conquer this pressure 30 second chess challenge? • Battle of the Brain – The Ultimate Challenge for the last two teams to prove their smarts-superiority. The Geeklympics is a fun competition, designed to test your brain power and creative abilities. You do not need to be an athlete or marathon runner in order to participate! 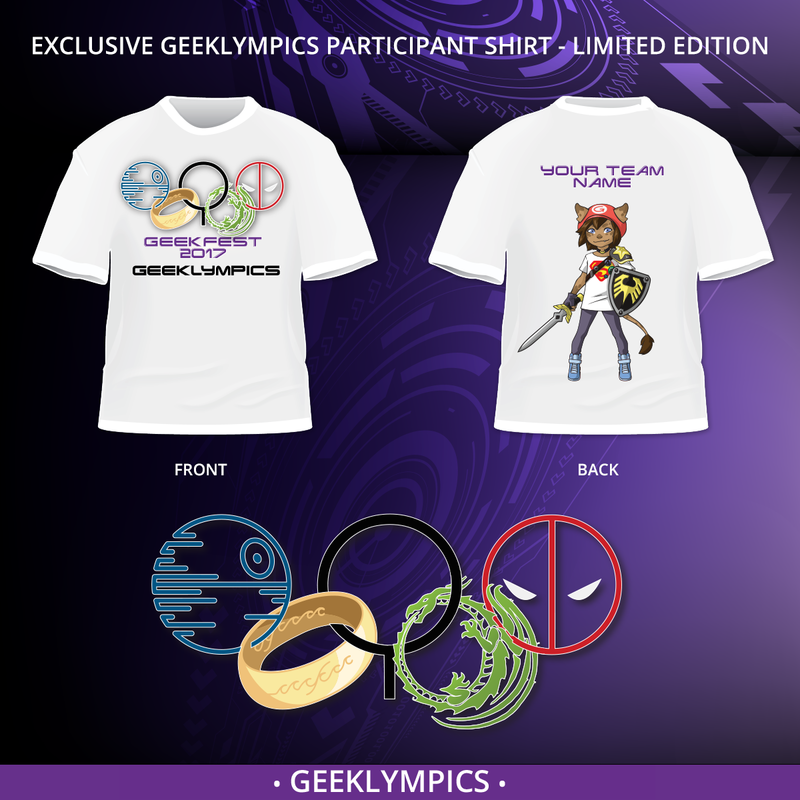 Choose a team leader or participate solo – then purchase your Geeklympics tickets on https://www.quicket.co.za/events/27242-geekfest-2017 @ R380.00 per team member. A member of the Geeklympics Committee will email you an entry form. – Free entry to Geek Fest 2017 on both days. WILL YOU BE THE ULTIMATE GEEK-LETE? 4) Teams have to be in attendance at 10am sharp on Saturday to be told the rules of each tournie. 5) Teams not on time on Sunday will forfeit their position in the finals. 7) The judges’ decision is final and no discussion will be entered into regarding the results.